In honor of one of the founders of The Greatest Show on Earth®, Ringling Bros. and Barnum & Bailey® is accepting nominations of local kids whose volunteer efforts are making a difference in the Detroit area. The Barnum Award honors the spirit of P.T. Barnum by identifying and celebrating children ages six to 14 who give back to their own communities in creative, fun and innovative ways. Nominations for Metro Detroit kids can be submitted online at www.thebarnumaward.com through Oct. 29. Recipients will be recognized at an award ceremony prior to the opening night performance of Ringling Bros. and Barnum & Bailey® Presents ZING, ZANG, ZOOM®, which comes to The Palace of Auburn Hills Nov. 10-14. 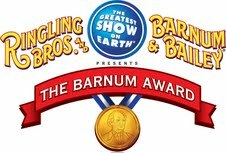 The Barnum Award is a national program presented by Ringling Bros. and Barnum & Bailey® in conjunction with a two-year celebration of the 200th anniversary of P.T. Barnum’s birth. Nationally, more than $150,000 in grants will be awarded. Young Detroiters will step up to the plate to reconnect with the Jewish community in metro Detroit for the Pitch for Israel Detroit softball tournament, August 29th, 2010 at Drake Sports Park in West Bloomfield. Pitch for Israel Detroit is an all-day charity softball tournament for young adults in the Jewish community. The event will bring over 200 people in their 20s and 30s back to Detroit for an end of summer reunion, re-connecting today’s generation with Detroit and its Jewish community. Participants will raise money to play and benefit CommunityNEXT, a new program focused on attracting and retaining young talent in Michigan through professional, cultural and lifestyle programs, in metro Detroit and ELEM, A non-profit organization for runaway, homeless and neglected Israeli and Arab youth in distress, in Israel (ELEM.org). In addition to softball action, Pitch for Israel Detroit will include a BBQ, live entertainment and a Home Run Derby. "We wanted to create a fun event that gave young adults in the Detroit area an opportunity to re-connect with each other and the greater Jewish community. We were inspired by a similar tournament in the Toronto area, which has evolved into a great end-of-summer reunion for a lot of young adults in their Jewish community,” said Adam Blanck, co-organizer, “The hope is to create a fun filled day for our generation of Detroit Jews to come together for softball, charity and the community. Ultimately, we hope to make it an annual event that adds to the overall culture of a revitalized Detroit." The event originated with Daniel Warner, as Pitch for Israel debuted in the summer of 2008 as a charity event for Toronto's Jewish community. Blanck and Ben Gordon attended the second annual Pitch for Israel in 2009 with the goal of bringing it to Detroit, the community in which they were born and raised. It is no secret that the Detroit community is losing young adults at an alarming rate and if this trend continues it could have a catastrophic effect on the community. 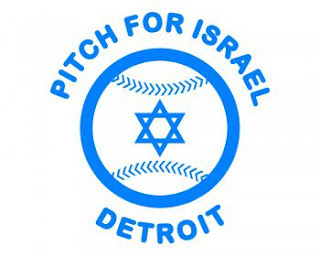 In recognizing this, Pitch for Israel Detroit hopes to bring together future generations of the Jewish community by raising money and providing a fun event for Detroit and its community for years to come. Goodwill Industries of Greater Detroit has announced a partnership with the Detroit Lions that will enable fans to donate gently used items at the Goodwill “Donate for Jobs” truck in front of Ford Field at home games this season starting with the first preseason game, Saturday, August 28. The highest quality items collected will be sold at Goodwill’s flagship upscale retail store scheduled to open in Canton, Mich. this fall. Goodwill Industries of Greater Detroit expects its first retail store in a decade to generate approximately $1 million in revenue in the first year, with proceeds funding local employment training and education programs. From the time gates open until one hour after the game, fans can drop off items or monetary donations at the Goodwill truck located near one of Ford Field’s main gates. Contributors will receive a 20 percent off coupon for use during a non-game day at the Lions’ Store located at Ford Field. 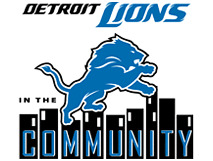 The partnership also includes a Goodwill presence on the Detroit Lions’ website as well as in the team’s game day program and other fan communications. In addition to visiting the Goodwill Industries “Donate for Jobs” truck at Ford Field on Detroit Lions game days, individuals wishing to donate new or gently used clothing or other items to Goodwill Industries may drop them off at the organization’s Detroit headquarters (3111 Grand River) or call (313) 964-3900 for more information. To make a financial contribution online, visit http://www.goodwilldetroit.org. Since 1924, Goodwill Industries’ industrial operations division has been a Tier One supplier to the Ford Motor Company. Annually, hundreds of individuals receive hands-on training through this operation as part of their paid transitional work experience, performing kitting and light assembly work. Goodwill Industries is the only organization in Southeast Michigan solely dedicated to helping local individuals overcome challenges and secure employment. In just the past two years of the organization’s nearly 90-year history, Goodwill Industries of Greater Detroit has placed more than 2,000 Wayne, Oakland and Macomb county individuals into new jobs, while providing education, training and career assistance to thousands more in the region. 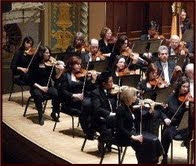 Detroit Symphony Orchestra Musicians, who are in stalled contract negotiations with DSO management, will head to Campus Martius Park on Thursday, August 26th for a lunchtime meet and greet/concert with park goers and their fans in an effort to raise visibility of their ongoing talks. “We want the public to know that the DSO may no longer be the world-class symphony orchestra we all love," said DSO trombonist Kenneth Thompkins, a spokesperson for the musicians. "Through the broadcasts of our concerts, through our tours, through our recordings, we've been Detroit's most successful ambassador to America and the world--up to now. We may no longer be able to attract the best guest conductors, the best artists, the best musicians." In addition, the musicians will also be giving away pairs of free tickets to their upcoming two concerts, Saturday, September 11, 8 PM, and Sunday, September 19, 3 PM, at Kirk in the Hills, 340 West Long Lake Road, Bloomfield Hills, MI 48302. 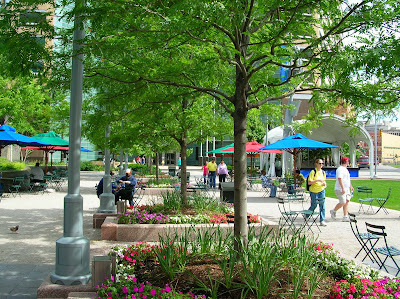 Campus Martius Park, 800 Woodward Ave. between Fort and Michigan Avenue. Except from "Nine Underrated US Cities, and Why You Should Visit Them." Dirty, dangerous or downright boring: there’s plenty of reasons a destination gets booted off travelers’ radar. Some cities deserve the no-go status. Others are just passing through an awkward stage. And meanwhile, they grow quietly, outside the glare of flashing cameras and the crackling of tour guides’ megaphones—kind of like an acne-ridden teenager who stays home on prom night. But behind that closed bedroom door, something incredibly cool is brewing in these nine underrated US destinations. These cities don’t just offer offbeat experiences for lower prices and less hassle than their more popular counterparts. Some places serve as fascinating, if somber, lessons in history; others are bursting with artistic energy. But all these places tell a story—one that is inconvenient, undervalued or unmarketable. They also go to show what happens when anything—be it a city or a person—is allowed to develop outside the mainstream. In a country of every-increasing mega-malls and corporate chains, these cities have a distinct identity. And a whole lot of local love. Detroit has had a rough road. Once regarded as the pride of the nation, the capital of its car-making prowess, the city’s decent has been directly in line with the decline of the American automobile industry. A sky-high homicide rate and plummeting population leave most to assume that the city has been abandoned to criminals and drug dealers. But while Detroit does have a certain bombed-out, abandoned feel, there’s also a great deal of history—and the potential for new beginnings. On the one hand, there’s the Motown Museum, Hitsville USA and the Wright Museum of African-American History, tracing the cultural and artistic past of the city. Then, if you look beyond the scruffy façade, you’ll see the first signs of new life: vacant lots being taken over by guerilla gardeners, warehouses filled by bohemians, abandoned buildings photographed by urban explorers. Heidelberg Project, the work of local street artist Tyree Guyton, is a perfect example of revitalization in the face of blight, and of the potential of Detroit. Exploring Detroit is like looking into the heart of America. The artistic legacy of Motown, the remnants of industry and profit, the struggles with racial tension, even its seemingly bleak present state: it all makes a powerful statement about the current state of America, and the ripe potential for rebirth. Palladium, a heritage boot company that relaunched last year is hoping to aid another comeback, that of Detroit. The brand has created a bunch of "Exploration" campaigns, in which Palladium explores and documents hidden and abandoned urban places in search of unique stories. These Explorations are then turned into viral videos that live on their website and their latest features "Jackass" star Johnny Knoxville in Detroit. In an exploration called 'Detroit Lives,' Knoxville puts on Palladium boots and checks out the city, which was once the fourth largest city in America but is now in the midst of a transformation from abandoned urban landscape back to a vibrant community. The trailer for the video above showcase the young people who are taking back the city and their community. The full video for 'Detroit Lives' premieres on August 30. The challenging urban landscape also makes a nice backdrop for the boots. Palladium was founded in 1920 to make aircraft tires for the aviation industry. In 1947, after the end of WWII saw demand for tires dry up, Palladium turned to making rubber and canvas boots including the classic canvas Pampa boot. The sturdy boots for men and women sell for $50 to $275. The video is after the jump. 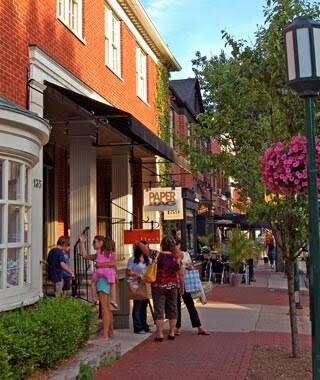 Travel & Leisure Magazine Named Birmingham One of the Coolest Suburbs in America! It’s not uncommon to see Detroit Red Wings players milling about in this posh Detroit suburb, or to find yourself in a local bistro seated near a major Hollywood celebrity: Madonna, Clint Eastwood, and Bette Midler have all stayed in Birmingham while on business in the region. Tap into the social scene at the Townsend Hotel, home to the Rugby Grille and the Corner, a favorite among Birmingham’s cocktail crowd. See: Dinner and a movie go hand-in-hand at Birmingham’s Palladium 12 Theatre. For $27 you get a movie ticket and access to a dinner buffet prepared by in-house chef Ian Forest. Taste: On the upper floor of 220 & Edison you’ll find a relaxed local crowd that comes for dishes like the sautéed lake perch piccata. Downstairs, it’s about socializing over well-crafted mixed drinks or wine. This spring, Ben & Jerry’s challenged its Scoop Shops across the United States to create and promote a YouTube video, only requiring it to be three minutes or less in duration and to include at least one Ben & Jerry’s branded item. Goodwill Industries’ video features host Scoopy D, a mustachioed Ben & Jerry’s pint cup, counting down the top ten places in Detroit to enjoy some Ben & Jerry’s ice cream. In addition to national accolades, the video earned Goodwill Industries a $500 cash prize to support the organization’s efforts to help Metro Detroiters overcome employment challenges and earn jobs. The Detroit Ben & Jerry's PartnerShop is owned and operated by Goodwill Industries of Greater Detroit. 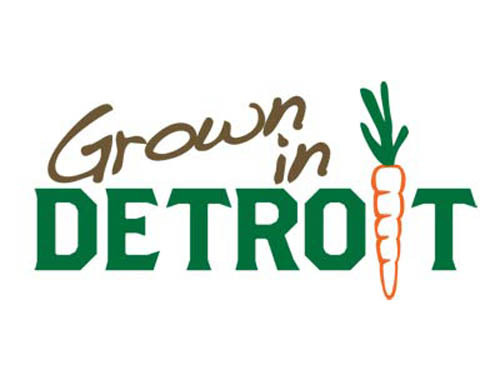 The store provides paid work experiences for Southeast Michigan youth with barriers to employment and offers tasty treats for Metro Detroiters looking to satisfy their sweet tooths. Proceeds from the PartnerShop support a range of Goodwill Industries programs designed to help the people of Southeast Michigan earn job opportunities by becoming trained, trusted and ready to work. The Detroit Goodwill PartnerShop is a rare model, perhaps the only one of its kind in the nation existing solely to support the fight against unemployment. Goodwill Industries promoted its video through a multi-platform campaign featuring extensive Twitter and Facebook outreach, as well as through organizational e-mail blasts and by encouraging coverage from Detroit area news outlets. For access the entire “Goodwill TV” YouTube Channel, visit http://www.youtube.com/user/goodwilldetroitpr. To connect with Goodwill Industries of Greater Detroit on Facebook: http://www.facebook.com/GoodwillDetroit. For the tenth consecutive year, University of Detroit Mercy is listed in the top tier of Midwest Regional Universities in the 2011 edition of the U.S.News & World Report's "America's Best Colleges." The University was once again ranked one of the top 30 schools in its category, the highest ranking Michigan university in the list. “We are extremely proud that University of Detroit Mercy has once again been named one of the region’s best universities,” said University of Detroit Mercy Interim President, Michael Joseph. 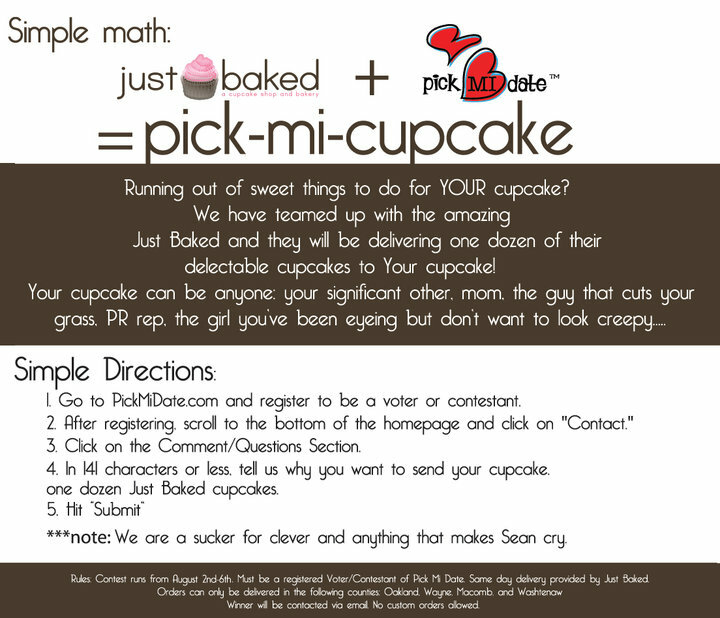 “While we are pleased that the rankings are a third-party tool validating who we are, they only tell part of the story. At UDM, we will always continue to provide a values-based education, preparing our graduates to be the next generation of leaders in their communities,” he added. 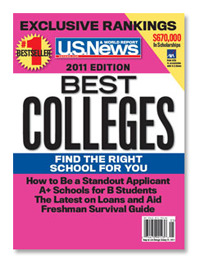 Highlights of the 2011 college rankings will be published in the September issue of U.S.News & World Report. The U.S. News college rankings group more than 1,400 accredited four-year schools based on categories created by the Carnegie Foundation for the Advancement of Teaching and compares them based on a set of 15 widely accepted indicators of excellence. 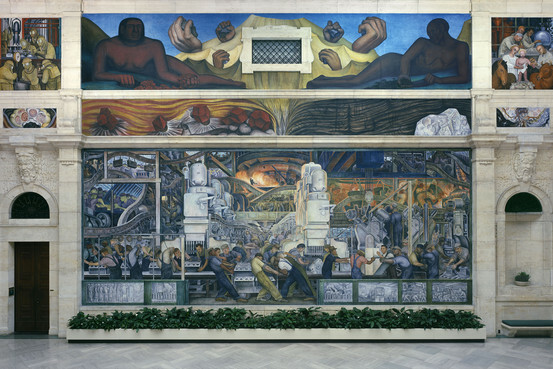 Why not view Diego Rivera's 'Detroit Industry' murals as a summons to renewed greatness? 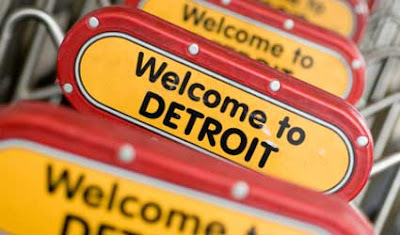 Is it naïve to visit today's Motown and find oneself uplifted by a city in so much trouble? I think not. For starters, the recently reconfigured, vast and encyclopedic Detroit Institute of Arts is probably America's most visitor-friendly art museum. Moreover, it houses the "Detroit Industry" murals of 1932-33—a spectacular series of paintings by Diego Rivera (1886-1957) unlike anything else in this country. Here's a forceful array of images— industrial settings in which huge machines seem to threaten the workers operating them—as well as smaller vignettes and other scenes in varying scales that unite to create an elaborate, iconographically layered environment that envelops the viewer. Perhaps it was once acceptable to subsume this vast array of works under the category of "Mexican mural painting"—public art in the service of social and political messages that was an expression of the Mexican Revolution and defined by Rivera, José Orozco and David Alfaro Siqueiros. But pigeonholing the Detroit paintings that way doesn't do them justice. In her definitive book on these extraordinary murals, Linda Bank Downs suggests that "they represent the ethos of Detroit—the factory, working class, machines, and industry." Standing before them, surrounded by the magic of Rivera's now somewhat nostalgic imagery, one might also believe, at least temporarily, that the murals could inspire the energy needed for the city's revival. The complexity of this mural effort cannot be overstated, and began with the commission from Edsel Ford, Henry Ford's son, who was a leading arts patron as well as Ford Motor Co.'s head. Also essential to the undertaking was the museum's director, W.R. Valentiner, who persuaded Ford to undertake this project. Rivera actually calculated the costs per square yard (there were more than 447 square yards in total), but the final contract was for just over $20,000 (more than $300,000 in today's dollars). Working in fresco—essentially painting on wet plaster—requires dozens of steps to ensure the stability of the final mural. Assistants were also involved with the project, including a young English aristocrat and artist, Lord Hastings. A significant number of Rivera's preliminary studies were needed to refine the depictions of the many facets and personalities of Detroit's industry. It was to be both a readable celebration of place and an inspired creative effort. 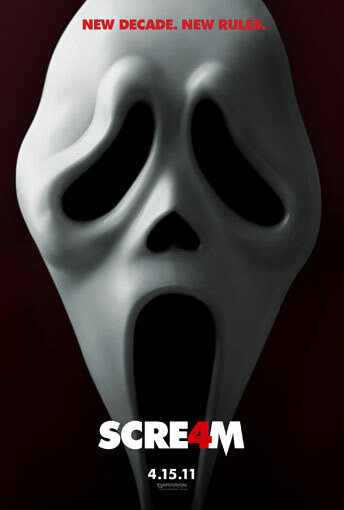 The project was not without controversies. In the midst of the Depression, why was a foreign artist given this plum commission? The artist's political commitments were also questioned. Rivera was a devoted Communist, though this didn't seem to keep him from a busy social schedule cavorting with captains of industry. His politics came to a head only in 1934, with the destruction of Rockefeller Center's "Man at the Crossroads" mural, in which the artist had included a portrait of Lenin. The once-palm-filled Garden Court at the Detroit Institute of Arts is now bare of anything but the Rivera murals, and some viewers have expressed regret at this loss of atmospheric effect. Yet the intensity of the paintings is so overwhelming that one wonders about an earlier era's sense of display. The massive north and south walls include three tiers of images and a complex iconography that would have spoken volumes to people at the time. They would probably have recognized some of the people whose portraits are included, and some percentage of the locals would have been able to read the industrial processes depicted. One is here reminded of Raphael's Vatican Palace frescoes, in which historical and mythical personages are depicted for viewers who were expected to be familiar with the images. There are other rich allusions to Renaissance art, such as the lower-level panels in grisaille, suggestive of Mantegna's altarpiece predellas. "Production and Manufacture of Engine and Transmission," on the primary lower portion of the north wall, and the facing south wall's "Production of Automobile Exterior and Final Assembly" each convey an intriguing tension between the people actually doing the factory work and the monster-like machines with which, and under which, they are laboring. Indeed Rivera manages to capture not just the feeling of intense activity in an automobile plant but the kind of automaton-like rhythm we associate with assembly-line production. The viewer is left to ponder whether the workers are heroes of or subservient to their environments. The narratives are clearly meant to elevate the workers' status. But at our distance from the time when these paintings were executed, blessed by hindsight, we might see them as victims—soon to be unemployed. It's this ability of great art to be read and reread that assures us of both its timelessness and its timeliness. Only on the south wall's lower right-hand corner is there a sense of brief respite from the factory's energy, as we see Ford and Valentiner quietly contemplating, but not quite entering into, this massive busyness they have created. One could spend hours studying the minutiae in this grand array of visions actual and symbolic, and the two primary walls yield the richest visual bounties. But there's so much more to discover as one stands enveloped by the wonders of Rivera's imagery. The benefits of technological advance are shown in a vignette of vaccination, depicted in a Nativity-like composition; the infant's face was modeled on the kidnapped Lindbergh baby, much in the news when the mural was painted. The pendant painting on that wall shows gas-masked men making poison gas—and each of these two smaller paintings is accompanied by images of cells, healthy and unhealthy, that reflect the narrative above. There's much more to gawk at as well. Massive figures of "The Red and Black Races" and "The White and Yellow Races" may look corny—or boringly Art Deco—to our cynical eyes, but they reflect Rivera's grand and inclusive vision, just as geological strata and Michigan's agriculture remind the viewer that industry exists within a comprehensive and nature-based world-view. With justification, Rivera considered the Detroit murals his finest work. 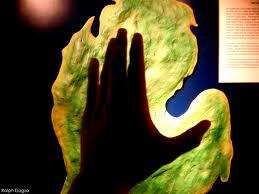 To some they might suggest the grandeur that was; to others, the inherent decay that follows moments of majesty. Why not also view those giant machine rotors as emblems of cyclical change, and therefore a summons to renewed greatness? There's a lovely irony in contemplating that this work by the 20th century's most important Mexican artist remains one of America's most significant monuments to itself. —Mr. Freudenheim writes about art for the Journal. 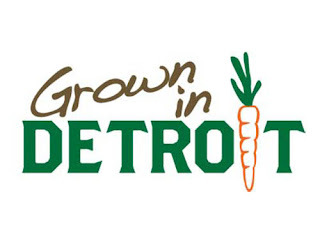 After a fact-finding trip to Detroit’s Eastern Market — one of the largest farmers markets and food distribution networks in the nation — Davenport Mayor Bill Gluba is itching to start something similar here. The mayor and eight others — including aldermen, Levee Improvement Commission members and others with an interest in the local food movement — took two city vehicles on a whirlwind weekend tour of the five-block, year-round retail and wholesale market in Michigan. Gluba envisions the currently vacant sections of the riverfront Freight House as the natural incubator for a growing “market district” in the central city. Although the Levee Commission currently is accepting various proposals for the building — including tenants who are willing to pay market-rate rent and start businesses in some of the space — Gluba said he supports a quasi-public use centered on an expanding market. “I personally will be recommending that is the direction we should go,” he said. Under the mayor’s proposal, the city would not charge rent and would consider the use of the building as in-kind support for the expanding market. Darcy Rostenbach, president of the Freight House Farmers Market, said the organization thinks it is ready to take the next step and expand. In its proposal to the Levee Commission, officials from the market asked for an additional 8,000 square feet in the building that used to house a sports bar and comedy club. The proposal also calls for the operation of a market store and restaurant that would be open daily to supplement the current twice-weekly markets. The restaurant would specialize in local ingredients and recipes from market vendors. “I don’t feel we’re close to maxing out our potential,” she said. Getting more people to the market and getting more growers to participate is a matter of matching supply and demand, she said. If the market grows large enough so someone can do most of their retail shopping — or a restaurant or institution can do its wholesale shopping there — more growers and producers will get involved. Second Ward Alderman Bill Edmond, a native of Detroit who is familiar with its Eastern Market, thinks something similar can work in Davenport on a slightly smaller scale. He is particularly interested in seeing if some city-owned vacant lots and other unused parcels of lands can be converted into urban gardens tended by central-city residents. “I feel very comfortable with this idea,” he said. The Davenport group met up with former Renaissance Rock Island head Dan Carmody, who was hired as head of the nonprofit board that runs the Eastern Market. It’s a war of little battles. The residents fight by lighting their yards, videotaping drug deals, harassing scrappers and chasing off thieves. In a masterful 2005 book, The Origins of the Urban Crisis: Race and Inequality in Postwar Detroit, Thomas Sugrue sets out to explore in detail the causes of urban blight, crime, and inequality in a city that began its decline almost immediately after the end of World War II. While Sugrue advises that to see Detroit as typical would be misleading, he concludes that the “differences between Detroit and other [cities] are largely a matter of degree, not a matter of kind.” Furthermore, he only touches upon the stories of residents in some of the most embattled and seriously affected neighborhoods. Sugrue’s important work lays out the larger institutional and social structures that forever have been at the heart of this long, stubborn decline. Enter Andrew James, a Salt Lake City independent documentary filmmaker with solid ties to Michigan, who is directing a feature-length documentary about the residents in the Jefferson-Chalmers neighborhood that lies along the Detroit River, defined by the dramatic juxtaposition of well-kept streets and homes with abandoned property sites that are precarious markers of encroaching urban blight. It might seem immediately tempting to capture the dystopia side of Detroit in the style of “RoboCop,” “The Omega Man,” or other post-apocalyptic films. However, in “Street Fighting Man,” James embraces the fresh potential impact of the contemporary documentary genre to augment the work of scholars and journalists and use emotion powerfully, purposefully, and persuasively to tell the story of James Jackson, a retired Detroit police officer, – a/k/a Jack Rabbit – and other residents who are fiercely determined to guarantee their neighborhood will not collapse and become another footnote in the story of America’s urban decline. And, like many entrepreneurial independent documentary filmmakers, James has turned to Kickstarter, an online crowdfunding platform, to raise $6,500 by Sept. 4 so he can make a second trip to the Detroit neighborhood and get enough footage for a 15-minute preview of the film. It eventually will run 90 minutes in its final form when it is completed by late 2011 or early 2012. Those wishing to donate can pledge any amount. Depending upon the amount pledged, benefactors can gain a wide variety of benefits ranging from autographed DVD copies of the finished documentary to film credit acknowledgments as associate producer and to co-producer or executive producer credits along with other amenities. The film is produced by Katie Tibaldi and Michael Van Orden. In James’ documentary, the focus is on the conversations at meetings of neighborhood homeowners and business owners as well as the activities of residents who do not shy away from confronting and videotaping criminals on the streets in the area, banding together to mow overgrown lots, and planting new gardens in previously blighted areas. “In many ways, they put community action in Utah to shame,” he explains. James is part of a growing number of independent creative artists who contribute significantly to Salt Lake City’s growing reputation for making films where emotions and themes form and flow into a provocative energizing discourse and ask viewers to suspend judgment, prejudice and political partisanship as they participate in the conversation and find voice for their own grassroots motivations. More recently, James co-directed “Cleanflix,” a documentary about the sanitized film movement in Utah, with Joshua Ligairi. The film has enjoyed a healthy presence on the juried festival circuit including the Toronto International Film Festival, Michael Moore’s invite-only Traverse City Film Festival and Thom Powers’ Stranger Than Fiction film series at the IFC Center in NYC. In 2008, “Una Vida Mejor,” a small fiction film he wrote and directed about the lives of southern California migrant workers, won the Cinequest special jury prize for artistic vision. Since reaching a peak in 2006, home prices in the Detroit area have fallen 60.5%, according to the Fiserv Case-Shiller Indexes. As homes have become more affordable — the median home price in Detroit is lower than the median family income — demand is expected to pick up. Prices are forecast to jump 33.1% over the next four years. George Moma, a broker with Century 21 Dupont Realtors, says the growing prevalence of short sales over foreclosures will help drive up the median price in the Detroit metro area. He adds that the area is attracting interest among international investors from the U.K., Dubai, Russia, India, Ireland and France. The Westin Book Cadillac Detroit has been awarded AAA's prestigious Four-Diamond rating for hospitality industry excellence. The 453-room luxury hotel opened in 2008 following a $200 million redevelopment of the historic hotel that originally opened in 1924. The Book joins 14 other AAA Four-Diamond hotels in Michigan including its sister properties in Southfield and at Detroit's Metro Airport. "We are pleased and honored to be awarded the AAA Four-Diamond distinction," said Westin Book Cadillac General Manager Tim Freisen. "We are most proud of our associates who make a standard of excellence their priority every day." The Book has been recognized by several organizations including awards this year for best hotel by Hour Detroit, Michigan Meeting & Events, and Meetings Mid-America publications. The AAA Four Diamond rating is assigned to lodgings that feature upscale accommodations and offer an extensive array of amenities combined with a high degree of hospitality, service and attention to detail. AAA inspectors evaluate and rate more than 58,000 lodgings and restaurants. Individually, they conduct more than 1,100 property evaluations per year. AAA's Diamond rating system is the only ratings system that covers all of North America and is one of only two that conducts physical, on-site evaluations. In 2010, a total of 1,267 hotels and 749 restaurants throughout the United States, Canada, Mexico and the Caribbean received the AAA Four Diamond Award. AAA Four- Diamond hotels and restaurants represent just 3.5 percent of the 58,000 AAA Approved and Diamond rated properties. For more information on the AAA Diamond rating process, visit: AAA.com/Diamonds. 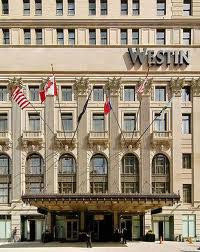 The Westin Book Cadillac Detroit is located at 1414 Washington Blvd., Detroit, MI 48226. 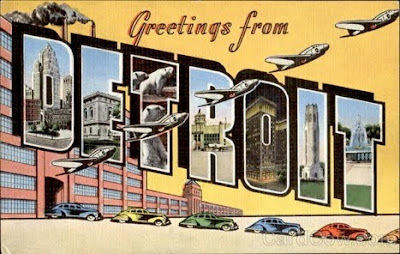 For more information go to www.bookcadillacwestin.com, or call 313-442-1600. After a dismal period of huge losses and deep cuts that culminated in the Obama administration’s bailout of General Motors and Chrysler, the gloom over the American auto industry is starting to lift. Jobs are growing. Factory workers are anticipating their first healthy profit-sharing checks in years. Sales are rebounding, with the Commerce Department reporting Friday that automobiles were a bright spot in July’s mostly disappointing retail sales. The nascent comeback is far from a finished product. Foreign competitors are leaner and stronger, accounting for more than half of all car sales in this country. The sputtering economic rebound is spooking investors and consumers alike, threatening to derail some of Detroit’s gains. And talks next year on a new contract with the United Automobile Workers could revive old hostilities. Still, the improving mood here reflects real changes in how Detroit is doing business — and a growing sense that the changes are turning the Big Three around, according to industry executives and analysts tracking the recovery. Ford made more money in the first six months of this year than in the previous five years combined. G.M. is profitable and preparing for one of the biggest public stock offerings in American history. Even Chrysler, the automaker thought least likely to survive the recession, is hiring new workers. The proof is emerging in dealer showrooms, where customers are buying more of Detroit’s cars and paying higher prices. In July, G.M., Ford and Chrysler sold their vehicles at an average price of $30,400 — $1,350 more than a year ago and higher than an overall industry gain of $1,100, according to the auto research Web site Edmunds.com. Detroit has vowed to change before, slimming down when sales slumped or pouring resources into vehicle quality to catch up to foreign competitors. Those efforts stalled or failed. But many auto analysts say the current makeover has a more permanent feel, largely because of the presence of the outsiders at the top and the lessons learned from the near-death experience of last year’s bankruptcies at G.M. and Chrysler. Ford’s chief executive, Alan R. Mulally, broke the mold four years ago when he came from Boeing and set out to streamline Ford’s bureaucracy and integrate its worldwide operations. At G.M., Edward E. Whitacre Jr., a former AT&T chief, has replaced dozens of top officials with outsiders and younger executives, and driven the company to make decisions faster. Those efforts are likely to be accelerated under Daniel F. Akerson, who was named on Thursday to succeed Mr. Whitacre as chief executive in September. And at Chrysler, Mr. Marchionne, an Italian raised in Canada who is both a lawyer and an accountant, is systematically upgrading the carmaker’s aged product lineup and revamping its plants in Fiat’s image. “Fundamentally this thing has been reshaped, resized and rethought,” Mr. Marchionne said of Detroit. The biggest difference, he said, is that the Big Three have finally broken the habit of reflexively raising incentives to increase sales volumes. Wave after wave of plant closings and worker buyouts in recent years has brought Detroit’s production more in line with the demand for its vehicles. Since 2000, the number of Big Three assembly plants in North America has dropped to 40, from 66, according to the consulting firm Oliver Wyman. In turn, overall capacity has shrunk to about eight million vehicles a year, from 13.7 million. That still may be too much. After several years of sales topping 16 million vehicles, the industry nosedived to 10.4 million last year — the lowest since 1982. At current levels, sales are projected to edge up to about 12 million this year, with Detroit’s share running at 46 percent. Even under the most hopeful assumptions, a resuscitated United States auto industry in the end would account for less than 3.5 percent of the country’s economic output, economists estimate, compared to 4.6 percent in the late 1970s. But the Obama administration, which argues that the comeback is long-term and sustainable, contends that the Big Three have downsized enough to be profitable with fewer sales. Some Republicans and other critics of the administration are less bullish, and suggest it is too early to know if the restructuring will stick or how much credit the federal assistance is due. That debate will likely play out in the November midterm elections, but in the meantime some of the raw numbers are falling Detroit’s way. The bankruptcies at G.M. and Chrysler slashed debt, jobs and labor costs, and revised union contracts have brought manufacturing expenses more in line with factories in this country operated by Toyota and other foreign automakers. The average production worker at G.M. earns $57 an hour in wages and benefits, compared to $51 at Toyota, according to a study by the Center for Automotive Research in Ann Arbor, Mich.
Those costs should continue to fall as the companies hire new workers at lower pay grades agreed to by the U.A.W. “What’s come out of this crisis is a realization that the interests of both sides are aligned,” Harley Shaiken, a labor professor at the University of California, Berkeley, said of workers and management. That alignment could be tested next year when the Detroit companies negotiate a new contract with the U.A.W. The union’s president, Bob King, has vowed to get back some of the concessions made in the bankruptcies. For now, though, the industry is adding jobs for the first time in a decade. More than 330,000 jobs were lost by the American automakers and their suppliers in 2008, White House officials said, while 55,000 jobs have been added since Chrysler and G.M. emerged from bankruptcy in the summer of 2009. Chrysler, which cut more than half its work force since 2005, has added 3,100 jobs this year, including white-collar jobs at its headquarters in suburban Detroit. The company is recruiting again on college campuses and bringing in entry-level engineers and managers. One of the first new hires was James Kim, an electrical engineer who recently graduated from the University of Michigan. Mr. Kim also had job offers from Verizon and other companies. But for the recovery to last, some economists say, several things need to happen, including continued improvements in quality, a relentless focus on cutting costs — and some luck on the economy’s overall strength. Top management says it is well aware of the rough patches ahead. 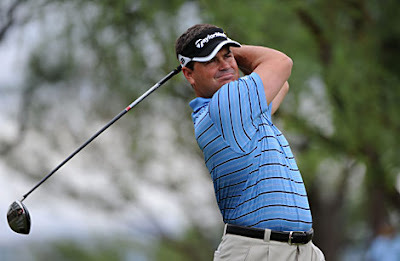 “We still have important work to do,” said Mr. Akerson, the incoming G.M. boss. Even so, optimism is building in the offices and plants and engineering labs of the Detroit companies, employees say. And promising new electrified vehicles like the Chevrolet Volt and small cars like the Ford Fiesta are slowly changing consumer perceptions that the Big Three are behind the times. Detroit natives The Romantics will rock Detroit on the GM Riverfront stage on Friday, Aug. 13 for the final concert in the 2010 Rockin’ on the Riverfront classic rock concert series, sponsored by Andiamo Detroit Riverfront and in partnership with Detroit’s Classic Rock Station 94.7 WCSX-FM. 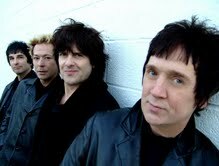 Formed on Valentine’s Day, in 1977, The Romantics are eastside Detroit boys who added a unique twist to Detroit’s rock scene. Fusing British invasion, punk and new wave sounds, they made it big with hits like “What I like about you”, “One in a million” and “Talking in your sleep.” Even 36 years later, they continue to liven up the stage with their volume, energy, and talent. Local band Steve Kostan With The Eddie Leighton Project will open the concert at 8 p.m. and The Romantics will take the stage at approximately 9 p.m. The New Face of FreeCreditScore.com is Detroit's Musical Group, The Victorious Secrets! It was just a few months ago that the Victorious Secrets had won the Fox Sports Detroit April in the D contest. Now they are riding tall as they have just WON and become the new face FreeCreditScore.com! Detroit came out in record numbers to vote them into the winners circle and now Detroit's music is once again being recognized as the best there is in the Country! Thanks to all the fans and those who stood by them during this process, the band is proud to be a part of the city, and honored to have you as a fan! Whatever your entrepreneurial aspirations, there's a city to match your needs, accelerate your company's growth and improve your quality of life. Which is the one for you? Entrepreneur identifies 50 cities and 10 lifestyles energizing businesses of all shapes and sizes. Even in harsh economic times, America is still the land of opportunity, especially for entrepreneurs with the vision, ambition and flexibility to follow that opportunity wherever it may lead. In an increasingly connected world, no longer are businesses or their owners tethered to one spot on the map: Whether you're sizing up a regional opportunity, looking for a change of scenery or simply desiring a certain lifestyle, there's a location and culture that's perfect for you. The challenge is identifying which spot is the best fit. Entrepreneur selected 10 contemporary American lifestyles and 50 related cities to complement all kinds of business types. Whether you're looking for tropical breezes, crisp mountain air, crowded city streets or wide, open spaces, they're all here. Our methodology is as far-ranging as the list itself, incorporating statistical data, lifestyle studies and empirical research. Some choices may seem to be no-brainers, others may surprise you, and still others may have you reconsidering segments of the U.S. in a whole new light. That's the essence of American business: The only constant is change. 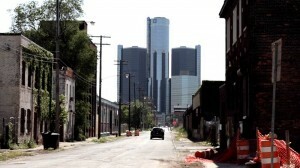 Detroit sits poised on the brink of economic collapse--and on the cusp of a post-industrial renaissance. Artists and iconoclasts are moving to this city in droves, purchasing foreclosed properties and relying on solar energy and other alternative solutions to pursue lives and careers outside the margins of mainstream society. Officials are looking to reinvent blighted segments of the city as urban farms. Detroit is dead--long live Detroit. Although life in Portland conforms solely to nonconformity, it's also the site of more than 1,200 tech companies. This counterculture enclave boasts a resilient economy based on manufacturing, education, health services, trade, transportation and utilities. A uniquely urbane locale with a robust creative community, the onetime supply center for Rocky Mountain mining camps is now the site of a burgeoning high-tech industry. Berkeley still thrives as a nexus of liberal activism and progressive beliefs--along with opportunities in educational, scientific and technical services. The latest must-go event in this gritty, left-behind city — where D.J.’s flourish among ruins, trespassing in tumbledown buildings is part of a night out, and even garage rock is bare-bones — centers on soup. Soup, as it’s known, is a monthly gathering, held above the MexicanTown Bakery in southwestern Detroit, where guests pay $5 for a homemade bowlful, salad (locally grown, to be sure) and dessert, and sit at tables made of doors laid over milk crates, listening as compatriots propose projects. Creating a pocket park, organizing an artists directory and devising a surveillance-camera video montage were all on this month’s agenda. The guests vote, and the idea deemed most deserving gets the Soup dollars — a neat little way to wiki-finance creativity. Soup, which started seven months ago, has been growing steadily. The last one, on Sunday, was the largest yet. Detroit is plagued by all the urban problems that make it fodder for big-picture editorializing and cop shows. Its long-dwindling population and landscape of abandoned buildings have made it a singular — or perhaps prophetic — case study in Rust Belt decline. But its particular brand of civic and economic decay has also drawn something unexpected: a small but well-publicized movement of artists and other creative types trying to wring something out of the rubble. Maker Faire, the California festival for tinkerers and conceptualists, made its Detroit debut — albeit in nearby Dearborn — last weekend; TEDx, a brainstorming conference will arrive in September; and Matthew Barney will perform after that. Banksy has already been. Two weeks ago Detroit hired a film, culture and special-events liaison to occupy a new position in the office of Mayor Dave Bing. The city that birthed the assembly-line age is now cultivating a slew of handmade salvagers, and it has not gone unnoticed. “There’s an excitement here,” said Dale Dougherty, editor and publisher of Make magazine, which spawned Maker Faire. “There’s a sense that it’s a frontier again, that it’s open, that you can do things without a lot of people telling you, ‘No, you can’t do that.’ ” Maker Faire follows that ethos; it drew over 22,000 people for demonstrations of wind-powered cars and fire-spewing bicycles to the parking lot of the Henry Ford Museum. 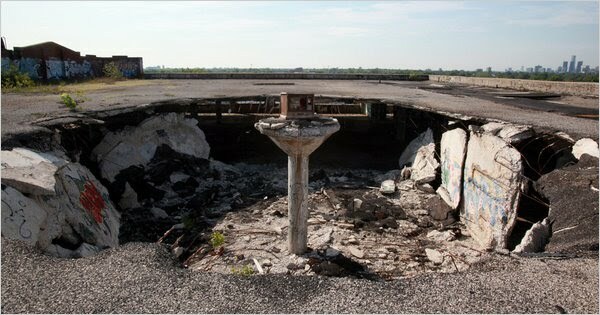 His latest piece, “Garden of the Gods,” is illegally installed on the roof of the massive, and massively derelict, Packard auto plant, which also recently housed a Banksy image. “I’m really interested in the idea of our relics,” Mr. Hocking said. He has collected supplies from a forsaken school warehouse, binders and toys twisted by a fire, and used televisions found in the Packard plant to create a vista that resembles modern Roman ruins. Symbolism is a large part of what the new Detroit runs on. Symbolism and connection: Mr. Hocking, 35, a longtime Detroiter, has attended Soup, as has Jerry Paffendorf, a newly arrived resident who quickly built himself a niche. Mr. Paffendorf, 28, moved to Detroit from San Francisco by way of Brooklyn last spring, with an expertise in software design and a side of techno-savvy wit. He is behind a project called Loveland, a “micro real estate” enterprise that sells parcels of Detroit that he owns by the square inch for $1 a piece. Mr. Paffendorf bought 3,150 square feet of land for $500 when he arrived; “inchvestors” get a plot in a part of town that might not be well trod otherwise. Proceeds go to organizations that address Detroit’s many problems. That invitation to appreciate the city, instead of bemoan it, is also behind some of Detroit’s best-known renewals, like the Heidelberg Project, which turns houses into found-object sculptures, and the neighborhood collaboration of Mitch and Gina, as the artist Mitch Cope and the architect Gina Reichert are known around town. They were among the first to get attention for their creative development, buying up houses for art and gardens. Even during a few days spent here, it is obvious how tight and welcoming the community is. A guy like Kevin Putalik can arrive alone from Montana with an interest in urban agriculture — a booming part of life in Detroit, where grocery stores are scarce — and within three weeks find himself making sausage at a party in someone’s home. “It’s the land of opportunity,” said Mr. Putalik, 28, who described himself as “funemployed,” as he rinsed casings at the sink. That is true on a stretch of Farnsworth Street that has been reclaimed by artists and activists, a leafy block in eastern Detroit surrounded by severe blight. The Yes Farm, a communal building with a stage and a studio, beckons on a corner, even if it doesn’t always have lights inside. Pickup soccer games happen on the empty lots at dusk. On a weekday evening Dutch artists in the middle of a two-month residency offered a talk on the sidewalk along with homemade fruit tarts. But Detroit is far from idyllic. Jeff Sturges, who lives on Farnsworth Street and helps run the Fab Lab, a design shop in a trailer, pointed to a scar near his mouth, from an attempted holdup. “It’s an extreme city,” said Mr. Sturges, 33, an architect by training who moved here in September from the South Bronx. “There are some days where I get up and say, ‘What am I doing to myself?’ ” But, he quickly added, mostly he is pleased to be here. He recently started a hacker space, a collective for technology and art projects, one of a handful to open around Detroit within the last year. That includes diversifying: a largely white creative class stands out in a largely black city; integration remains rare. Some worried about the image of the city. “People think it’s a blank canvas; it’s not,” said Corine Vermeulen, 33, a Dutch artist who has documented Detroit’s community farms. Work, though, is what this D.I.Y. city has not shied away from. In June a group including Mr. Paffendorf of Loveland spent $1,000 for two abandoned houses across from the vacant Michigan Central Station, a symbol of Detroit’s decline, and, along with the Packard plant, a must-stop on any hardscrabble tour. They renamed the buildings — shells filled with debris and a few squatters — Imagination Station and hope to transform them into an artists’ enclave and green space. There wasn’t much to see yet, but Mr. Paffendorf offered a tour. “Welcome home,” he said, pushing open the battered door, with a hole where the lock should be. The next day he and his girlfriend and partner, Mary Lorene Carter, were at Maker Faire, sitting behind a table covered in sod, publicizing Loveland. They sold 70 inches of Detroit. February 2009, President Obama signed the American Recovery and Reinvestment Act, which among other things provided $2.4 billion to encourage development of a domestic industry to make lighter, more energy-dense lithium-ion batteries to power electric vehicles. Two weeks ago, on July 15, the president flew to this small city on the shore of Lake Michigan to attend the groundbreaking for a $303 million, 650,000 square-foot battery plant operated by Compact Power, a subsidiary of LG Chem, a Korean company, and to see other evidence of the stimulus bill’s influence in Michigan. He did not have to travel far. There are 17 new plants in production, under construction or approaching groundbreaking in Michigan’s nascent vehicle battery sector, according to the state Department of Energy, Labor and Economic Growth. 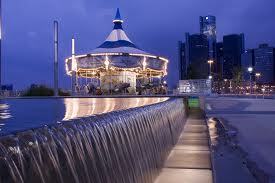 Two of them, representing an investment of $523 million, are in Holland, a city of 34,000. The Compact Power plant will produce batteries for the Chevy Volt, a hybrid vehicle assisted by a gas engine that is expected to be priced at $41,000 when it reaches dealers later this year, and for the electric version of the Ford Focus, which has a range of 100 miles and will reach the market next year. In 2009, Deutsche Bank estimated global sales of electric, hybrid and other alternative-fuel, advanced-technology vehicles could rise by 30 percent this year, to 1.3 million. J. D. Power recently estimated that hybrid and electric vehicles could account for about 1.3 percent of an estimated 67 million in light-vehicle sales worldwide this year. And the D.T.T. Global Manufacturing Industry Group estimates that by 2020, electric vehicles and other “green” cars will represent up to a third of total sales in developed markets and up to 20 percent in urban areas of emerging markets. Less than two miles east from the 120-acre Compact Power site is a second battery plant. Johnson Controls teamed up with the French battery maker Saft to transform a closed 129,000-square-foot automotive electronics factory into a $220 million, 173,000-square-foot battery plant that employs 35 workers, and could grow to 300 workers within two years. Just like the Compact Power project, which is expected to open in 2012 and employ 450 workers by 2013, half of cost of the Johnson Controls/Saft plant construction was paid by a grant from the federal stimulus. That assertion attracted protests from the Michigan Tea Party, which dispatched several of its members to the groundbreaking. And it prompted a political dust-up with Representative Peter Hoekstra, a Republican candidate for governor who voted against the stimulus. Economic development and real estate specialists in Holland said they welcomed the federal funds. Kris DePree, the president of the Zeeland, Mich., office of Colliers International, the commercial real estate brokerage firm, said the plants would help stabilize commercial vacancy rates in the region, now around 10 percent. “We haven’t seen industrial investments like this in quite some time,” Mr. DePree said. Randy Thelen, the president of Lakeshore Advantage, the nonprofit economic development organization that helped attract both plants to Holland, said such investments were crucial to the region’s future. Holland has lost 3 percent of its population since 2000, and the city’s unemployment rate climbed to nearly 18 percent early this year, according to state figures. The two new plants, Mr. Thelen said, could stimulate a regional auto battery manufacturing and supply industry capable of eventually employing 10,000 people. That would rival the office furniture industry, he said, which employed 12,000 people in the Holland area. Other cities in Michigan are also competing for that title. Toda America, a Japanese maker of lithium-ion battery components, broke ground in Battle Creek in April for a $70 million plant that will initially employ 60 people. A123 Systems, a battery-technology innovator that got its start at the Massachusetts Institute of Technology, has offices in Ann Arbor and in Livonia, Mich., where it has an auto engineering unit that employs over 250 people. Last year the company received $249 million in stimulus grants to develop a 291,000-square-foot plant in Livonia that opened in March, and to build another plant of similar size in nearby Romulus set to open next year. The company’s investment in southeast Michigan will total over $600 million, and more than 800 workers are expected to be employed at the two newest plants. Dow Kokam, a new lithium-ion battery maker formed by Dow Chemical and two other companies, broke ground in May in Midland, Mich., on a $322 million, 400,000-square-foot plant. 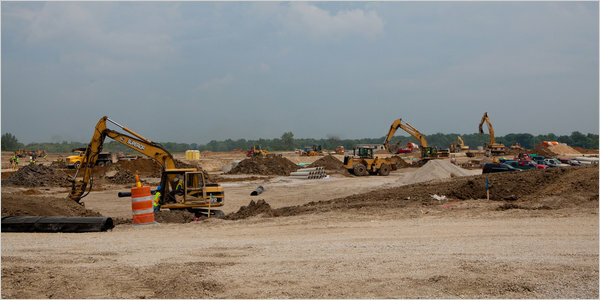 It expects to complete the factory in January 2012 and employ 320 people. Kristina Schnepf, a spokeswoman, said there were plans to expand the plant to 800,000 square feet soon after production began in 2012. The statewide building boom follows a grim decade in Michigan, which has lost 800,000 jobs since 2000, roughly half in manufacturing and most of those in the auto industry. Under Gov. Jennifer M. Granholm, a Democrat now concluding her second term, Michigan studied various industrial sectors around which to build a new economic strategy. State economic specialists focused on clean energy, and especially battery production for the next generation of energy-efficient vehicles. She helped persuade the Legislature to approve $1 billion in tax credits for companies involved in developing advanced energy storage systems for electric vehicles. The federal and state spending on advanced batteries has encouraged construction in other sectors of the recovering auto industry. State unemployment dropped to 13.1 percent in June from a peak of 14.9 percent in March, according to federal data. Lenawee Stamping, a producer of metal stamping and welded fabrications, is expanding a plant in Tecumseh, Mich., to accommodate more production of G.M. electric vehicles, adding some 140 jobs. Magna Holdings of America, a designer and maker of auto components and systems, plans to invest $49.2 million to expand its operations in four Michigan cities to produce electric car systems, creating 500 more jobs, according to the Michigan Economic Development Corporation. 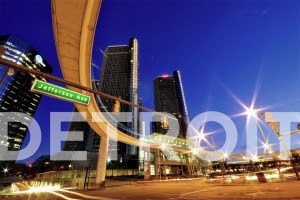 Detroit Mayor Dave Bing and U.S. Transportation Secretary Ray LaHood announced August 2 that the federal government supports the Mayor’s vision of creating a light rail system in Detroit. Visiting the site of the proposed Woodward Avenue Corridor line, LaHood predicted the light-rail project "will become a model for the country." Santana original lead singer, Gregg Rolie, will rock Detroit on the GM Riverfront stage on Friday, Aug. 6 for the continuation of the 2010 Rockin’ on the Riverfront classic rock concert series, sponsored by Andiamo Detroit Riverfront and in partnership with Detroit’s Classic Rock Station 94.7 WCSX-FM. As Santana and Journey founding member, Rolie has captivated fans with classic Santana hits such as “Black Magic Woman”, “Oye Como Va” and “Evil Ways.” A blend of multiple music genres, Santana created a unique sound all their own. The talented keyboardist/ vocalist/ producer was inducted into the Rock n Roll Hall of Fame in 1998 and continues to spark up the stage with his energy and passion for music. Salem Witchcraft will open the concert at 8 p.m. and Rolie will play from 9 p.m. to 10:30 p.m.
Detroit natives The Romantics will close out the concert series on Aug. 13.